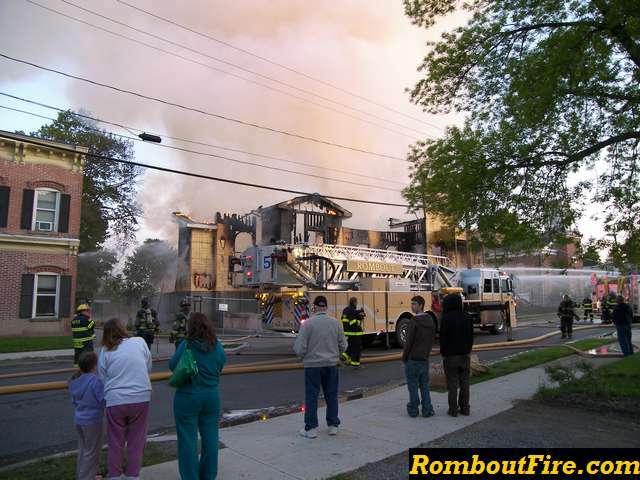 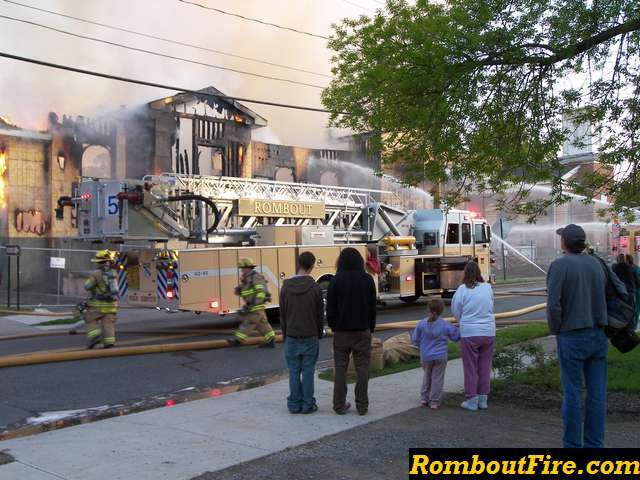 WAPPINGERS FALLS, NY - On Sunday May 11, 2008 at approximately 0530 hours, Village of Wappingers Falls Fire Department composed of W.T. 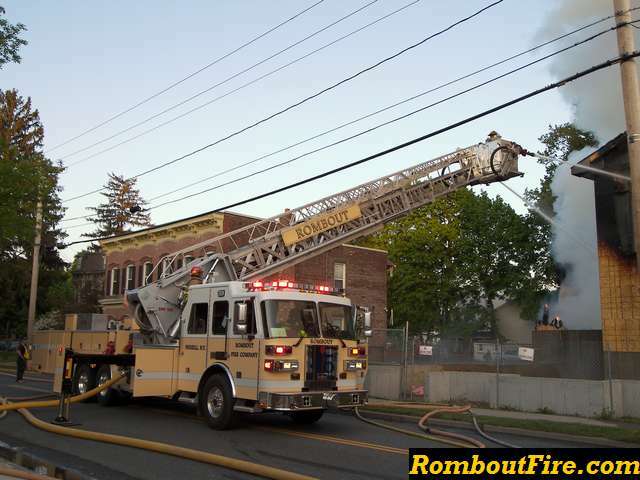 Garner Engine Co. #1 and S.W. 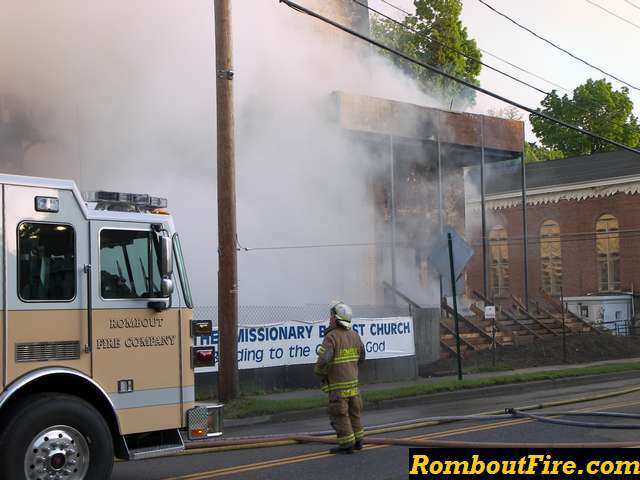 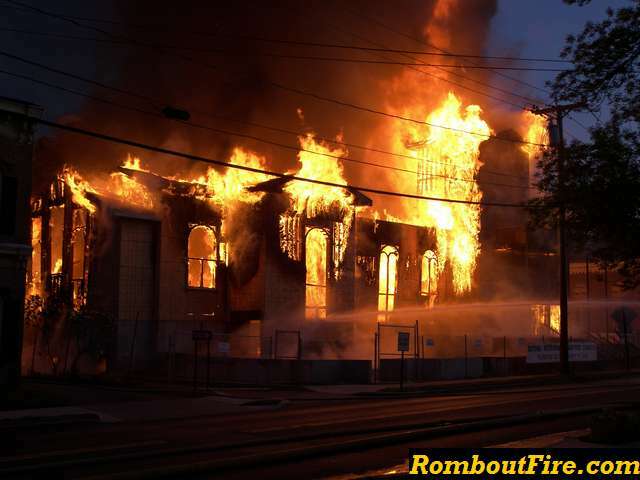 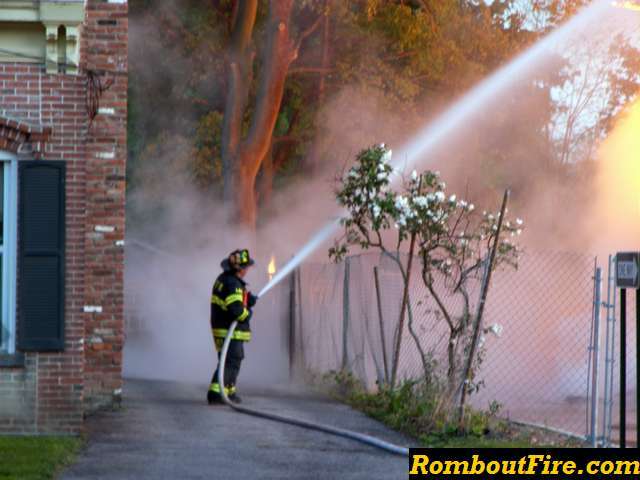 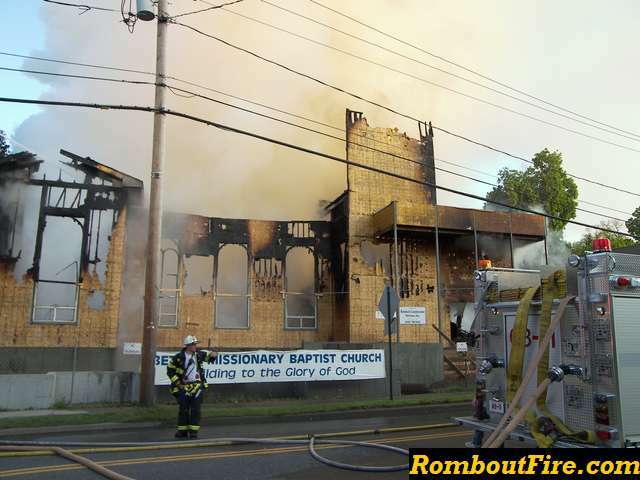 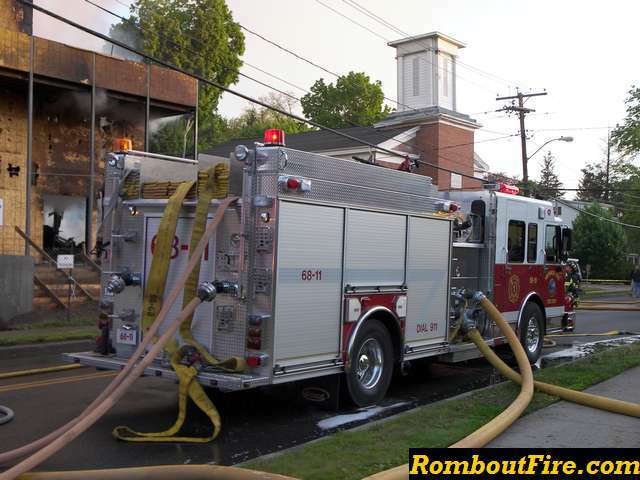 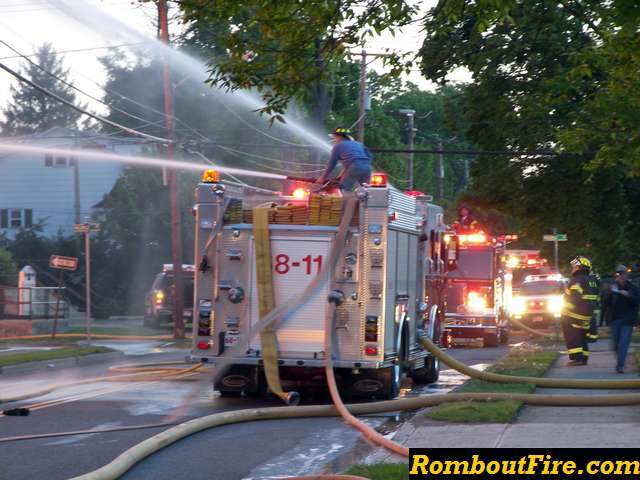 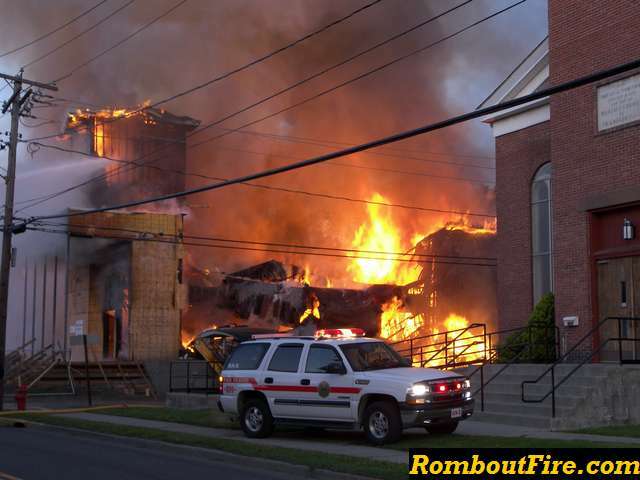 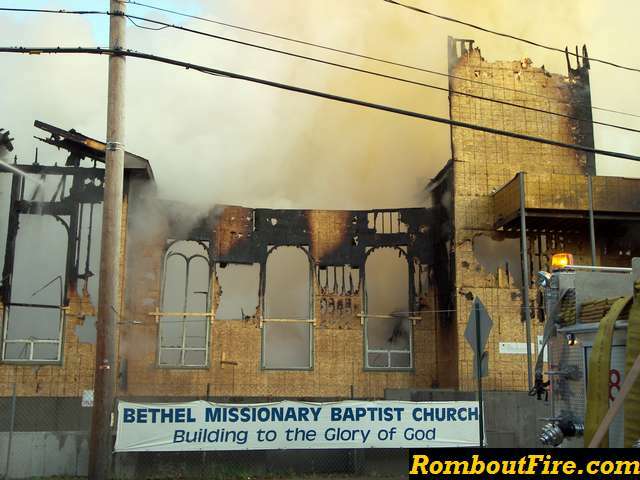 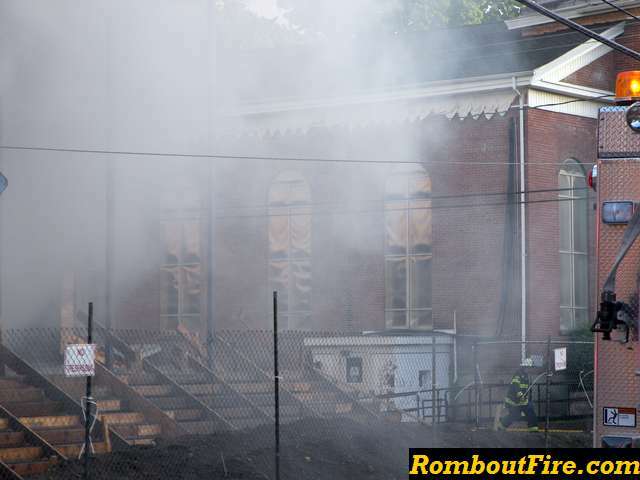 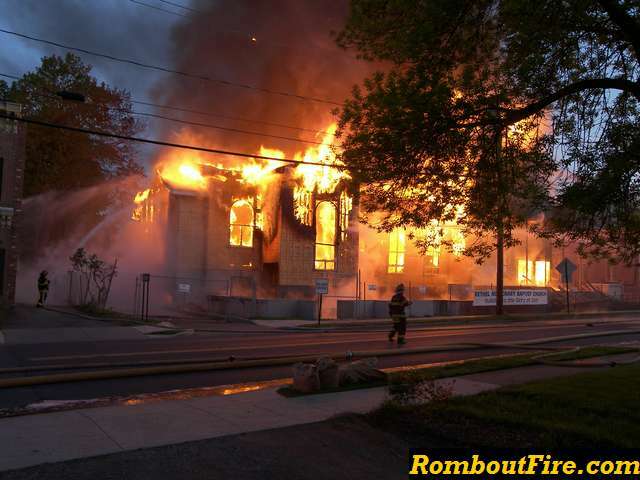 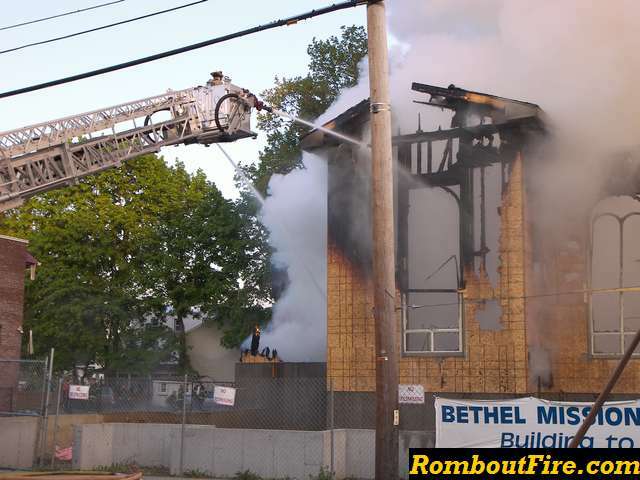 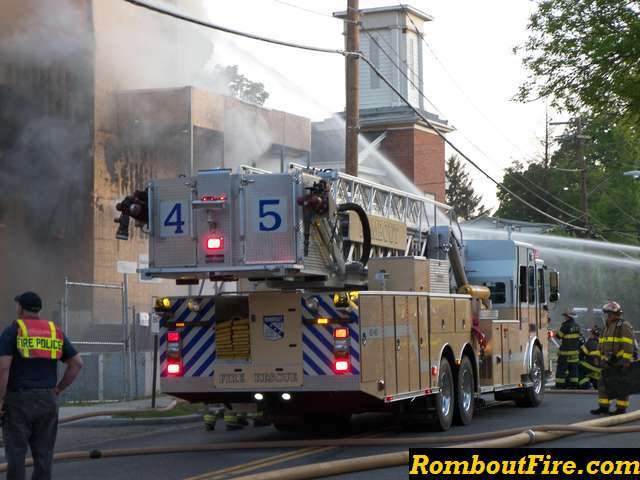 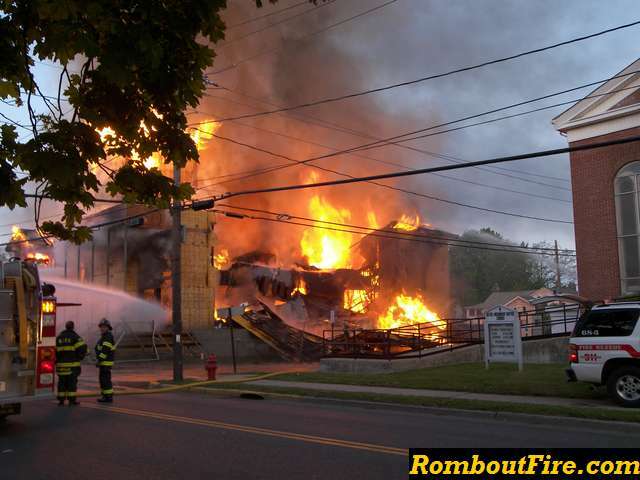 Johnson Engine Co #2 were dispatched to a reported fire at the Bethel Missionary Baptist Church on South Ave (Route 9D). 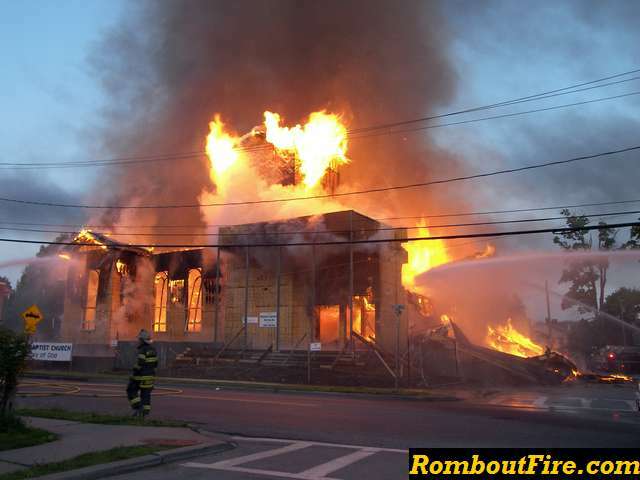 The new church under construction had heavy fire coming from the front. 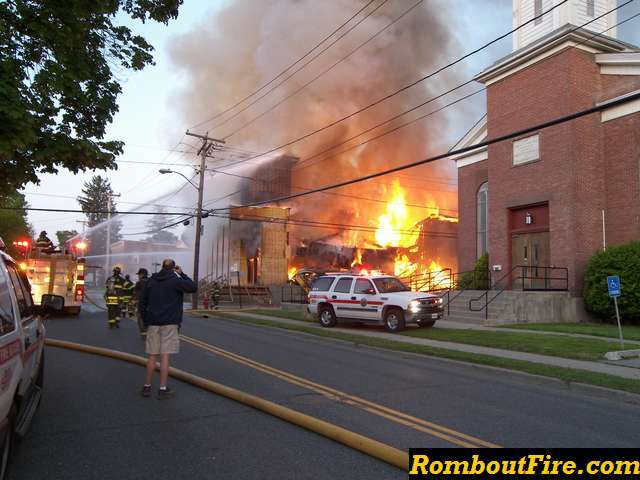 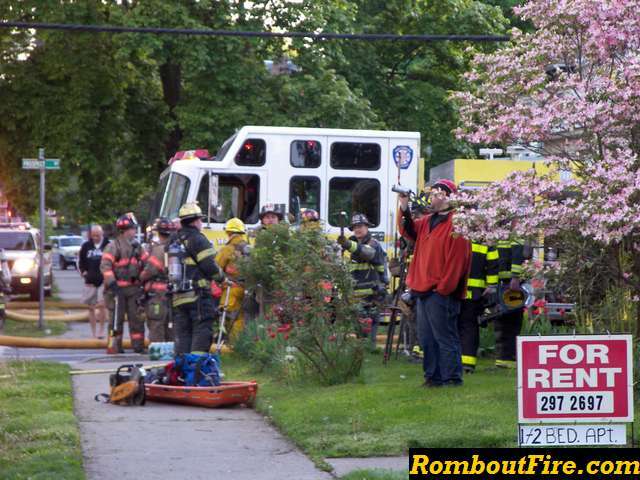 Wappingers Fire began an exterior master stream defensive attack. 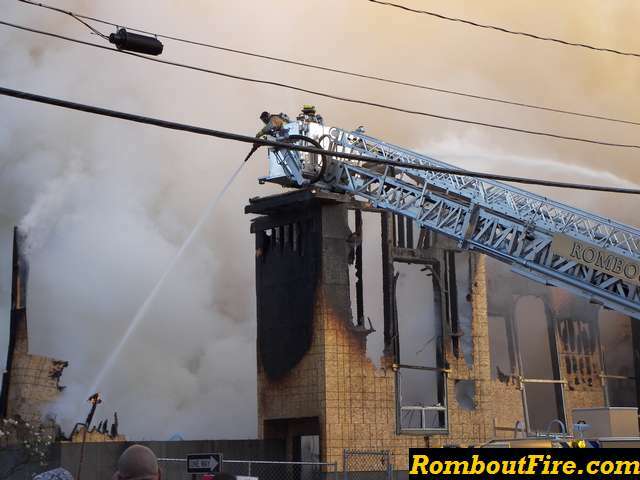 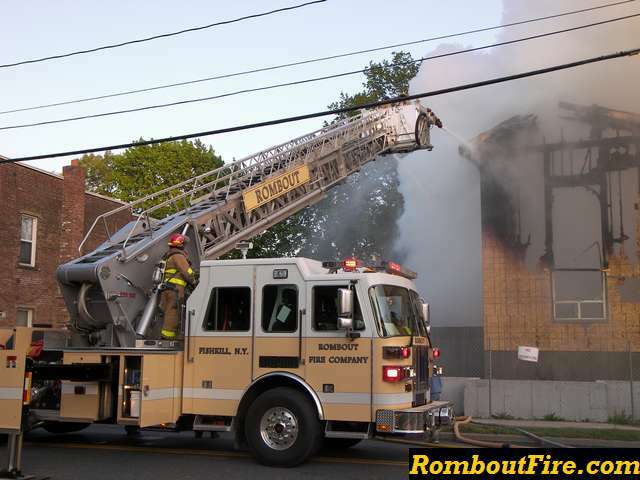 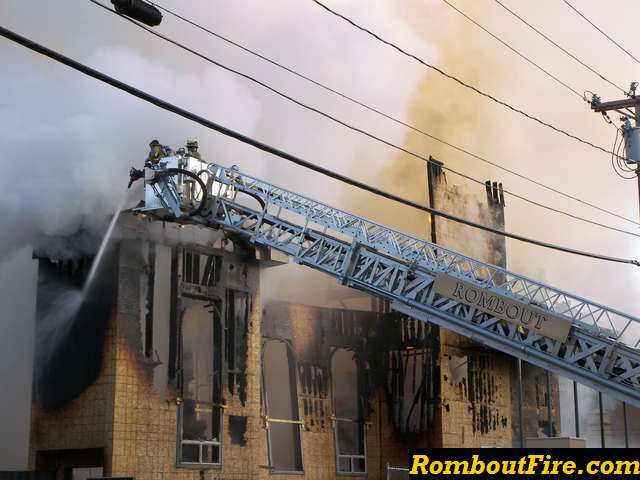 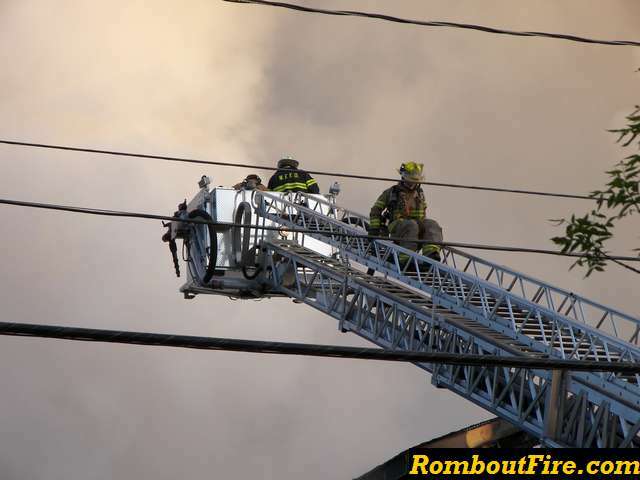 Wappingers Fire Command requested a second alarm and special call for an additional Aerial, Rombout Tower Ladder 62-45. 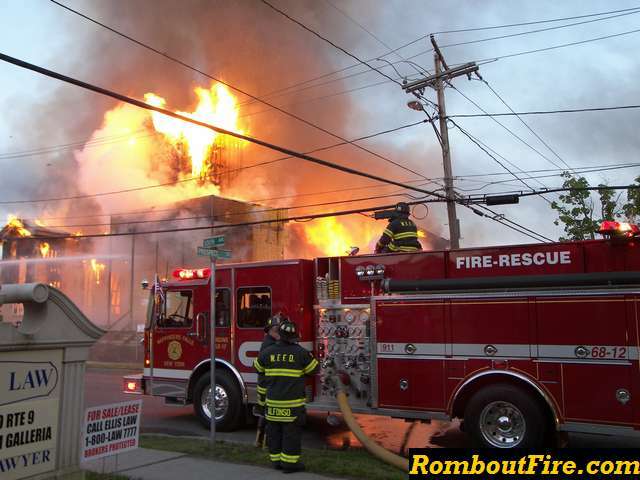 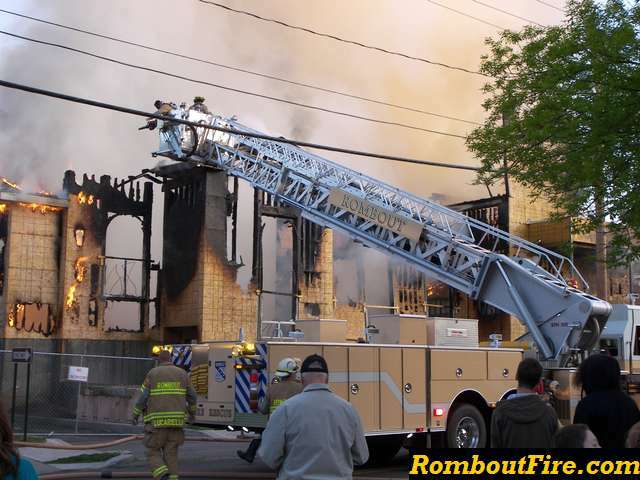 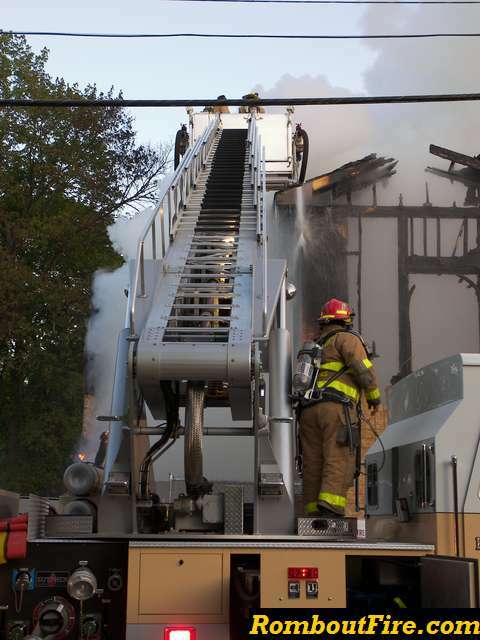 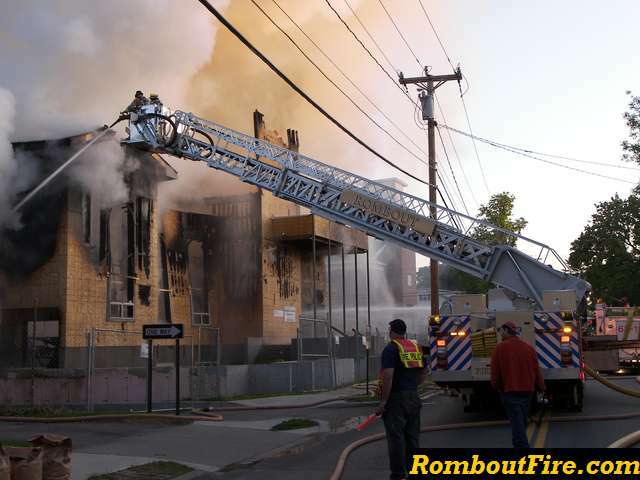 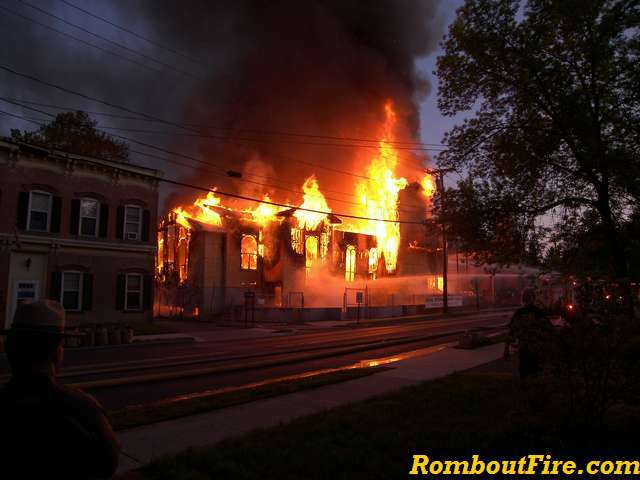 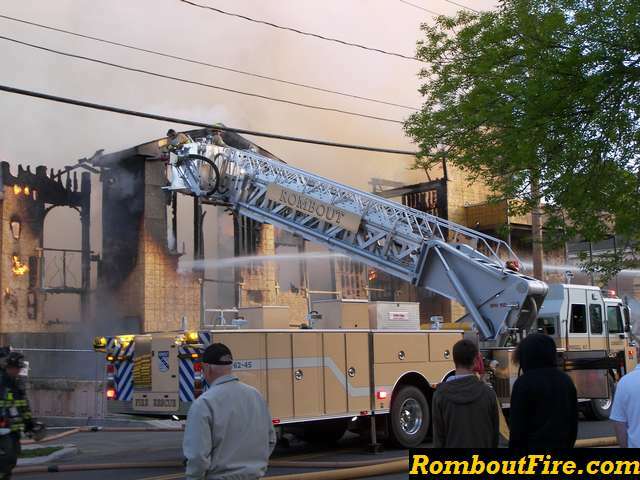 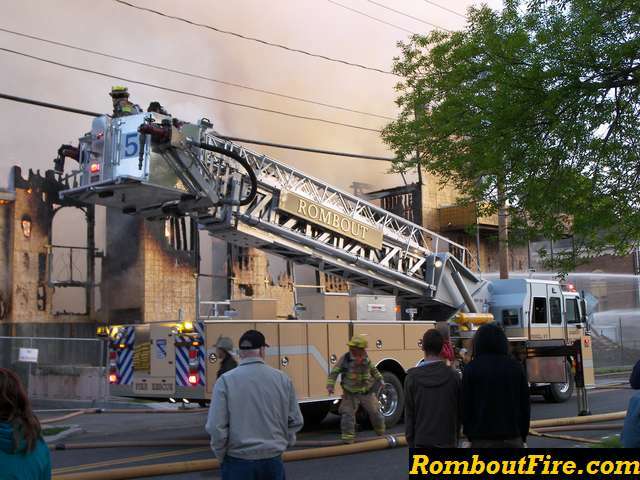 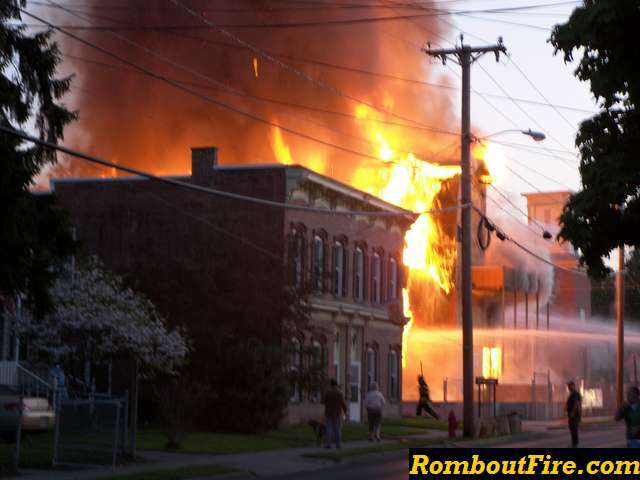 This was the first Structure fire for the 2006 Sutphen Tower. 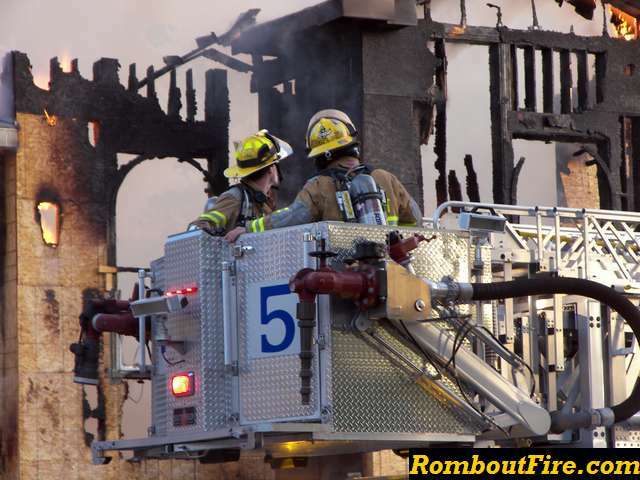 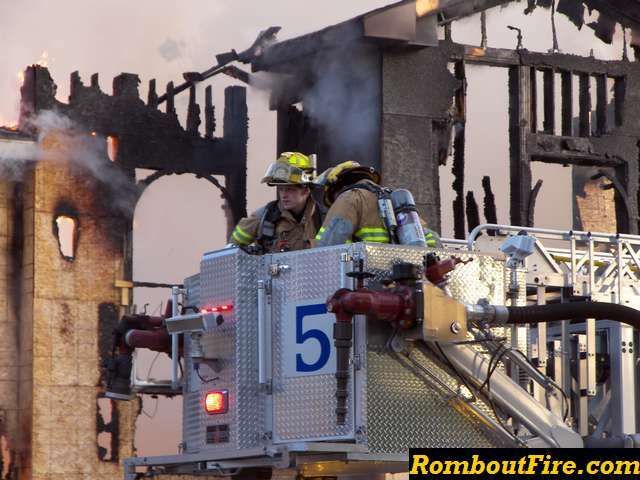 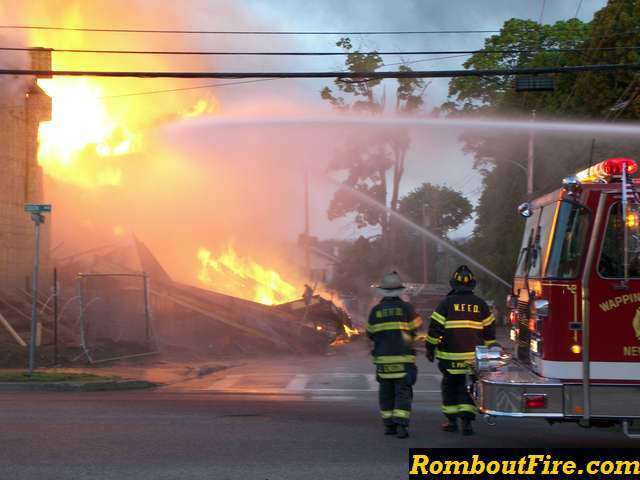 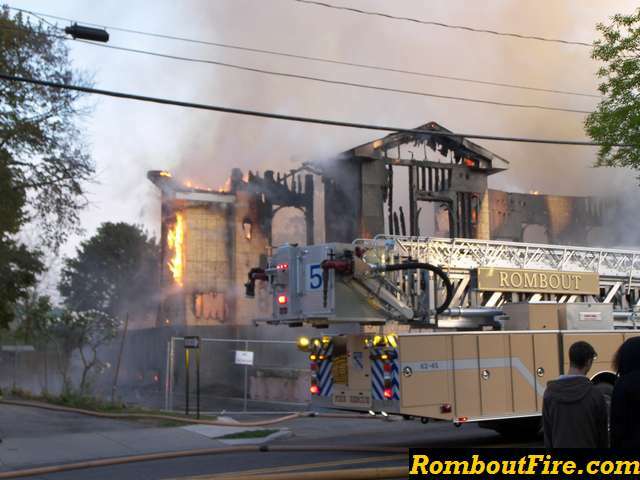 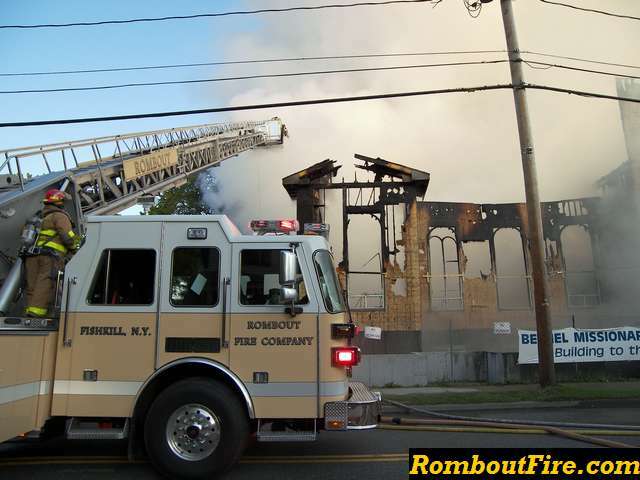 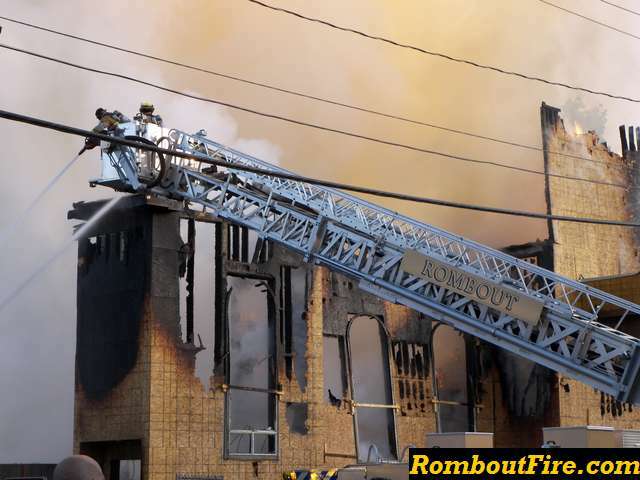 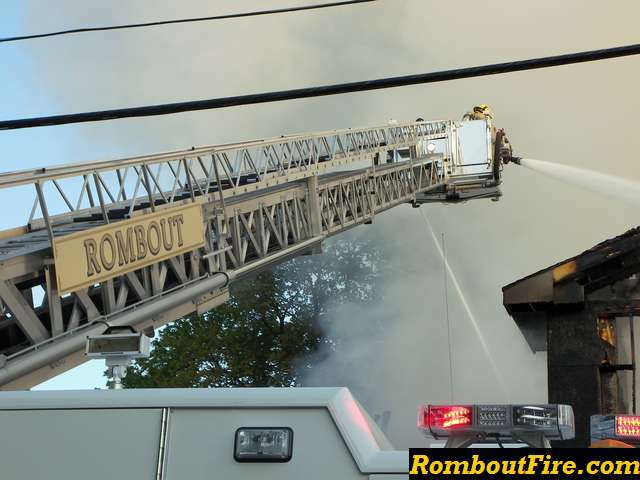 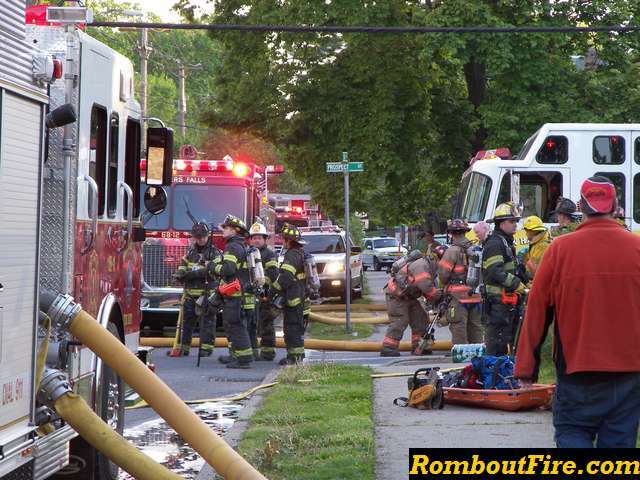 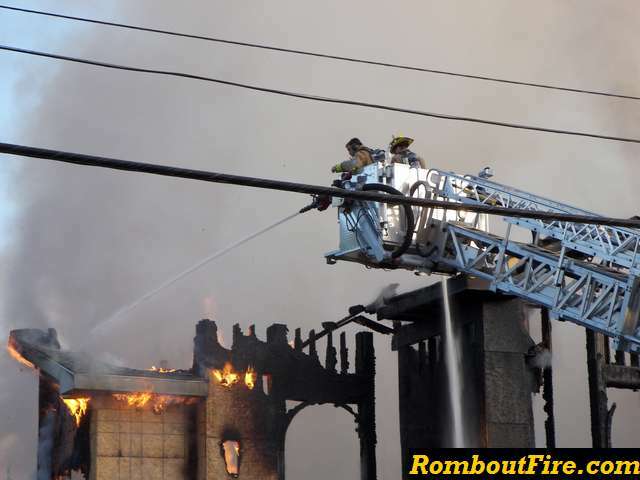 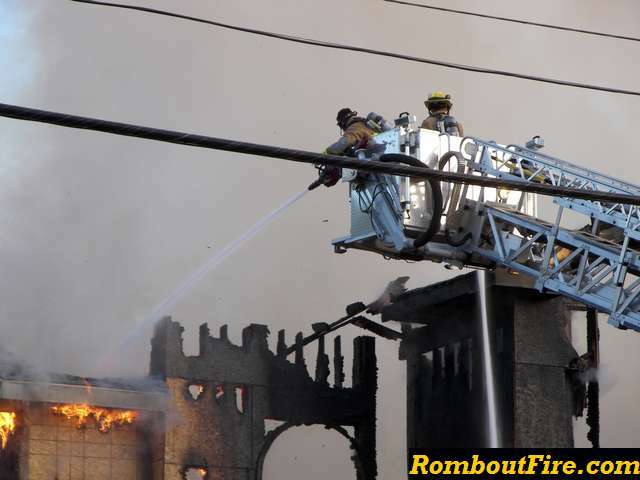 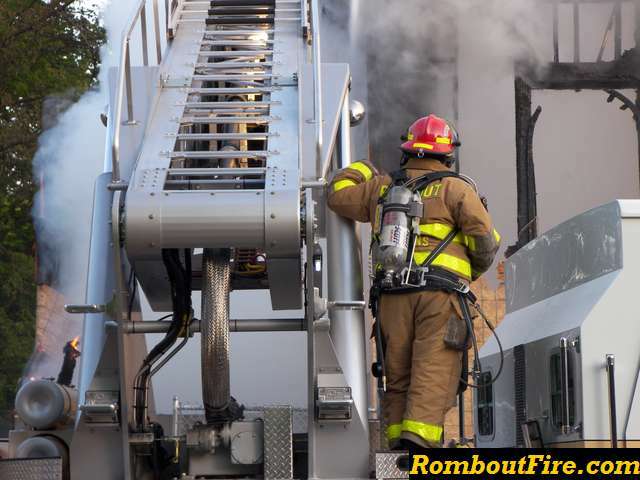 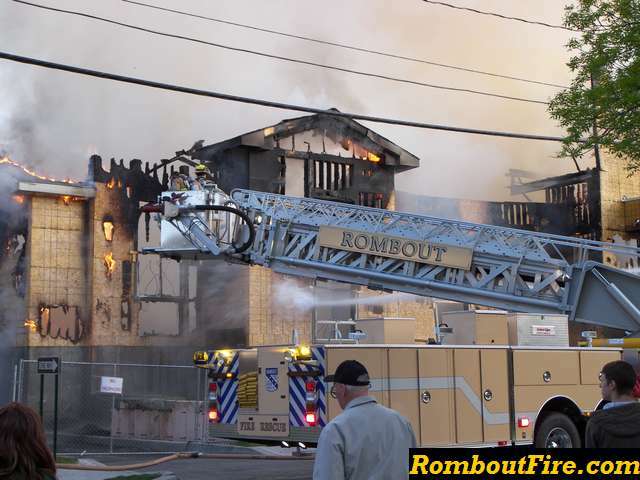 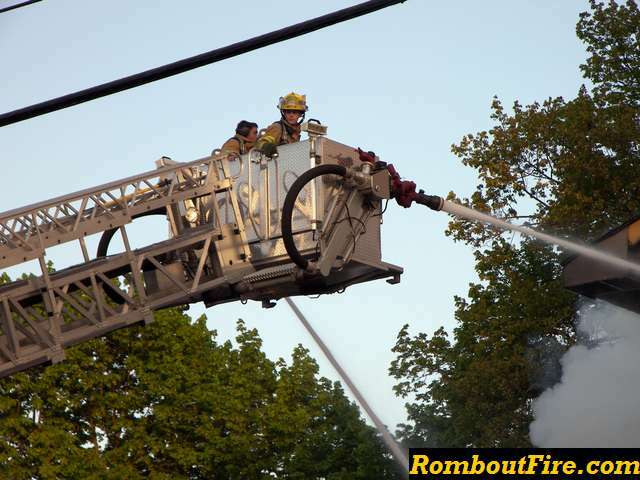 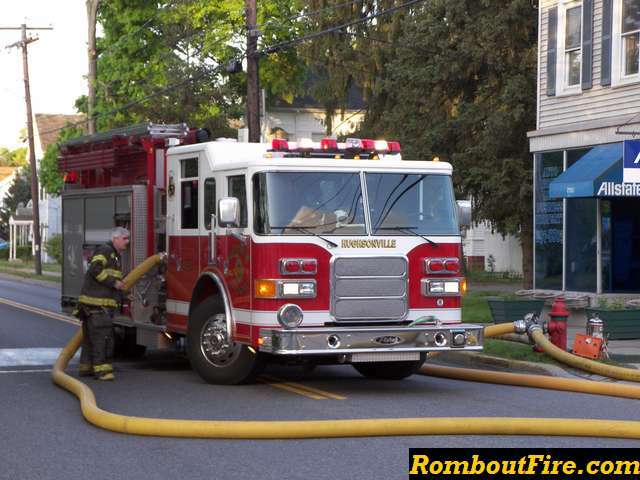 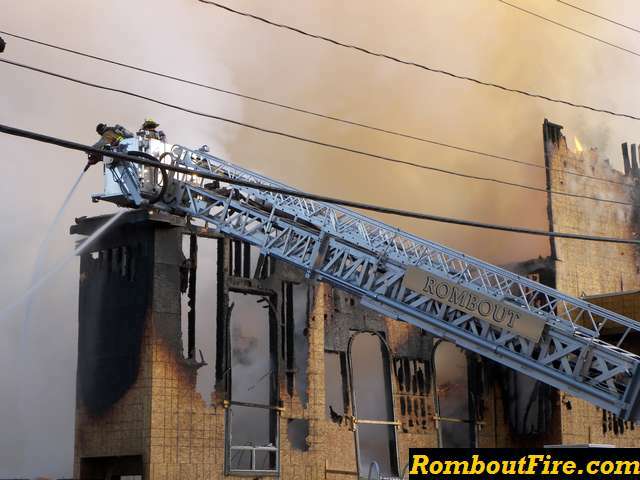 Rombout cleared the scene around 0930 hours.